The only way to tolerate being outdoors this time of year is with activities involving fresh, cool natural bodies of water and a sixer. We’ve all laid out on the cool, green grass that surrounds Deep Eddy Pool and hung out with the cool kids at Barton Springs. But, what about the places that get a little less love (and way fewer human bodies, hogging up all the space)? Well, here they are for you to explore this extremely hot and grueling summer. 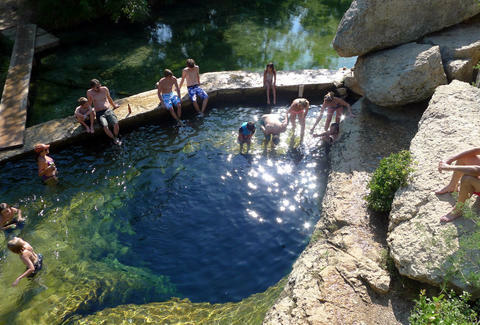 About an hour southwest of Austin -- in Wimberley, Texas -- Jacob’s Well is a cool getaway. It’s also notoriously dangerous for those who disobey rules about diving from the cliff into the small 13ft-wide opening. But enjoyed safely, the perennial spring (which reaches depths of over 100ft!) is a tranquil masterpiece. 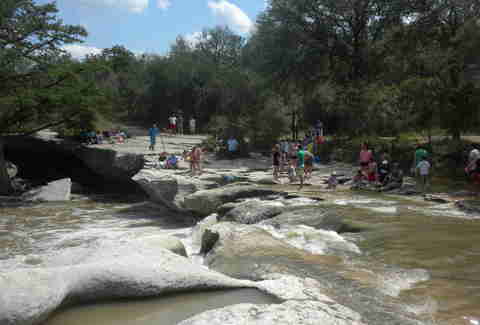 McKinney Falls is one of the closest state parks to central Austin that you can actually enjoy a nice swim in. 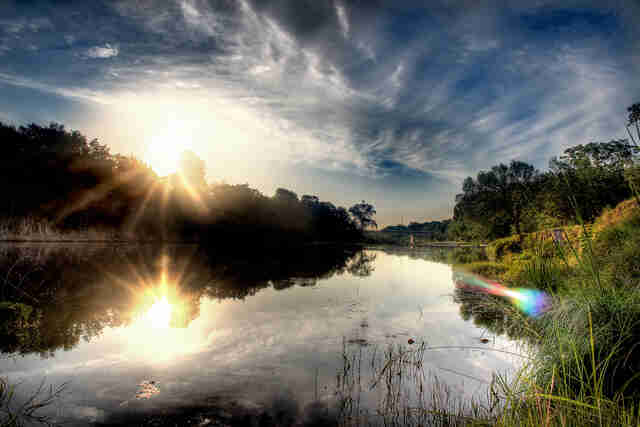 It’s also great for hiking, camping, and simply catching a break from the city. 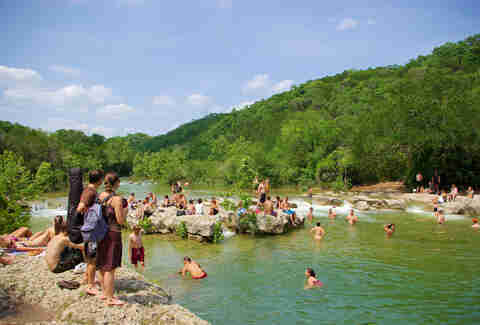 If you're looking for a nearby but more remote swimming hole in Austin, McKinney Falls is sure to please. Take the path to the Lower Falls for better swimming. A short drive away in Georgetown, Blue Hole is a nice wading area with clear water and mini falls perfect for relaxing in a tube. Expect lots of people but with so much space you won’t feel crowded. There are limestone bluffs but jumping isn’t allowed, mmmkay? No entrance fee! Reimer’s Ranch is located on open parkland along the Pedernales River. There’s a sweet “beach” with sand and shells where patrons can layout, swim laps, or just soak in the shallow area. Reimers Ranch can be found in Dripping Springs, just before the entrance to the uber-popular Hamilton Pool. This is the place to go for those of us who like our scenic views combined with safe(r) cliff jumping and lots and lots of water to swim in. And, the nine miles of shoreline mean you can bring the entire gang and spread out without getting trampled by dogs and children. Get to Spicewood’s Pace Bend via Hwy 71 West. Entrance is $10. Just west of Mopac, Twin Falls is the perfect weekend respite from the heat -- when water levels are high. This hangout (which gets pretty crowded on weekends) is located along the Barton Springs Greenbelt, and just a short hike from Sculpture Falls. Park on the access road of 360 South, wear good shoes since the terrain is uneven, and for the love of Smokey, don’t litter. A 20-minute hike west from Twin Falls is the equally cool Sculpture Falls. The water varies in depth, but most people can be seen sitting in shallow areas but there is a small bluff for cliff jumping. Alcohol is allowed here and at Twin Falls, so pack a little ice chest. 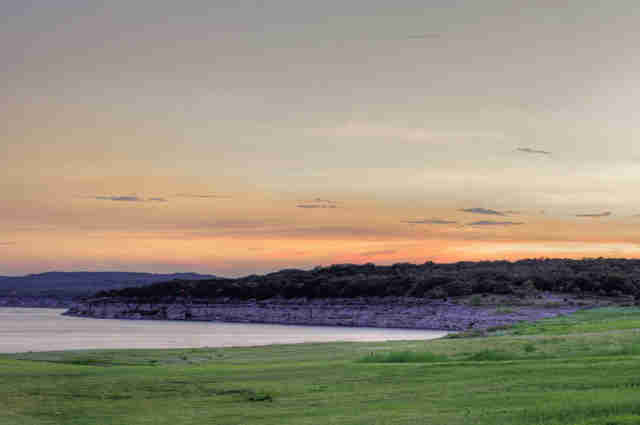 Just miles from Downtown Austin, Mansfield Dam Park has everything one could hope for: clean water, clean bathrooms... oh, and lots of open space. There are boats around but the area for swimming and floating is sectioned off, and perfect for taking in views of Lake Travis. Anastacia Uriegas is a writer at Thrillist whose eating habits were a precursor to the food truck trend. Eating personal quesadillas, alone, in the Taco Cabana parking lot counts, right? Follow her occasional sad-guy dining at @anaurie.